Once you start raking up the falling leaves, you might begin to feel like your yard is a tad bit bare. With the bright blooms and gorgeous green foliage of summer fading away, let's face it: There's not much left to draw the eye. Luckily, that's an easy fix. You can quickly give your exterior space a little love with these 11 outdoor fall decorating ideas. 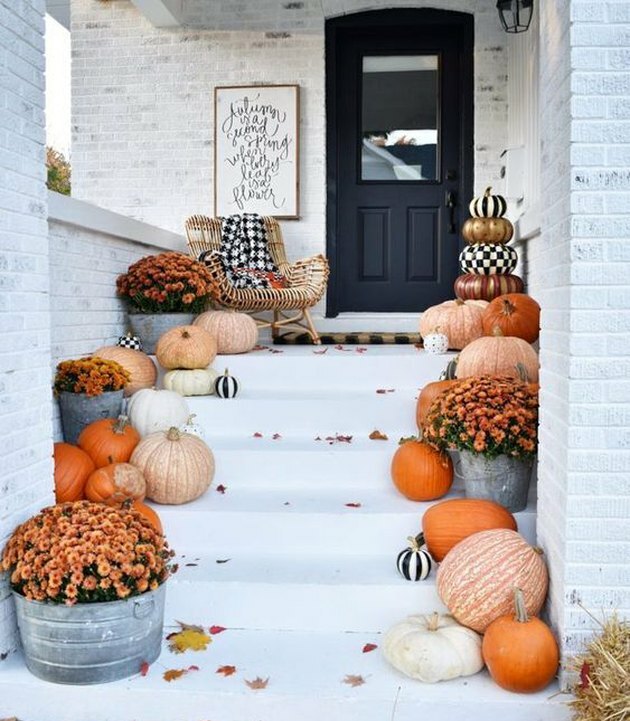 Welcome your guests in a fun and festive way by lining each side of the pathway that leads to your front door with pumpkins both big and small. You can even paint some of the pumpkins in stripes and checks — and, following Susan from Kindred Vintage & Co.'s example, add a black-and-white houndstooth blanket for warmth. 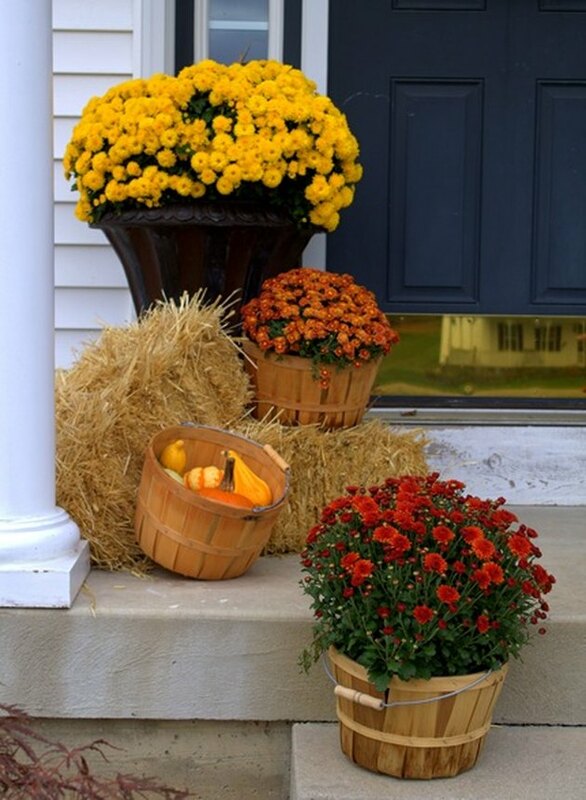 Celebrate the harvest by displaying its bounty on your front porch. Pink Peonies blogger Rachel Parcell turned corn husks, pumpkins, and a fall-inspired wreath into gorgeous, mood-setting decor. 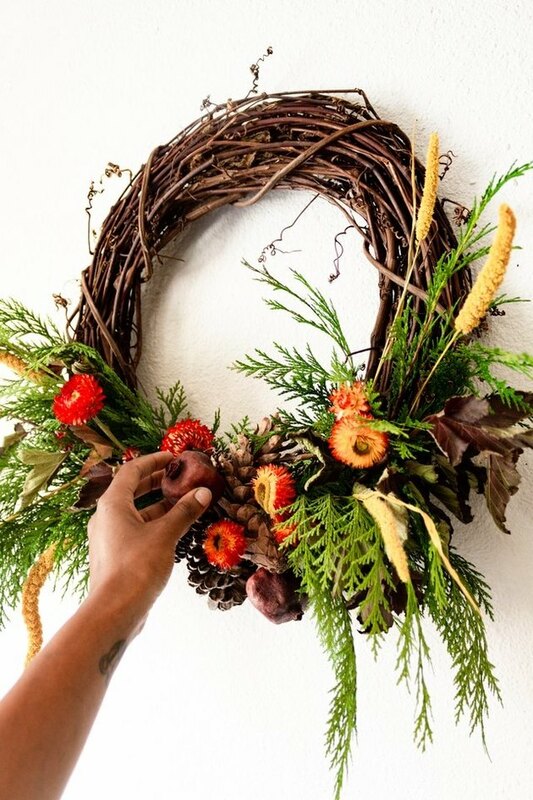 Wreaths aren't just for winter. Check out this autumnal stunner with pine cones, red strawflower, and dried pomegranates that you can DIY in just a few simple steps. If you're still struggling to find the outdoor fall decorating idea that's perfect for you, try this time-honored tact: a pile of gourds. 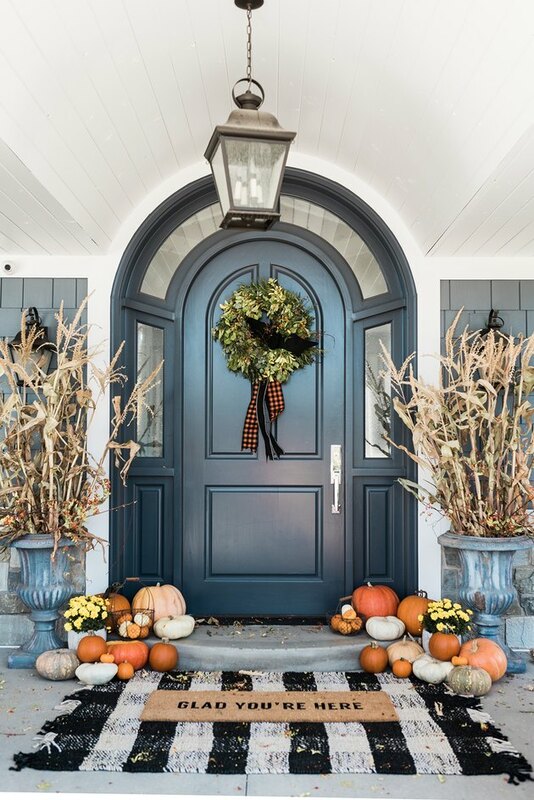 Stack different colors of large pumpkins on your porch and sprinkle with fall foliage like Lucy from Craftberry Bush to create a magically seasonal scene. Not everyone has the time or energy to grow their own pumpkins. 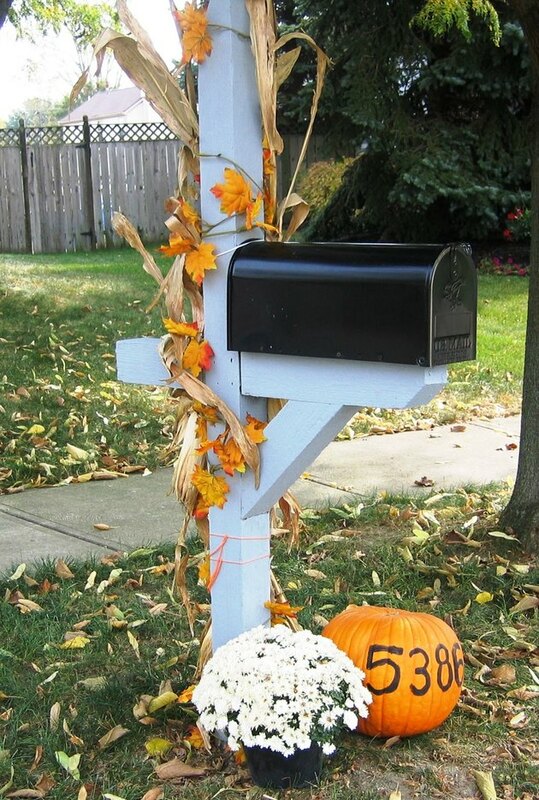 But with the help of some dead vines and a few store-bought pumpkins, you can transform the yard around your mailbox. Find Gayle's how-to at Miss Kopy Kat. 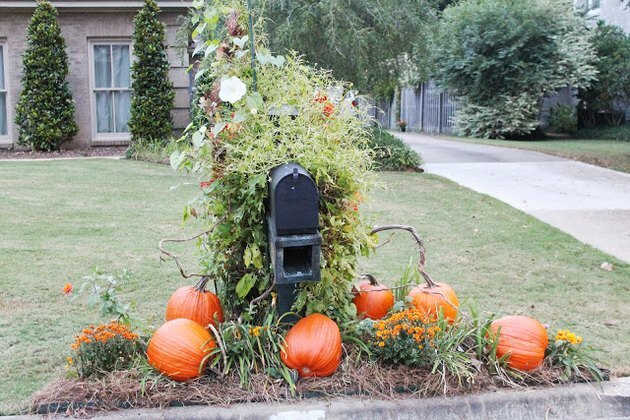 Your mail carrier will never miss your house again when you place this painted pumpkin topiary outside. Just pick up some plastic house numbers from your favorite hardware store and follow Vanessa from At the Picket Fence's easy-to-follow instructions. 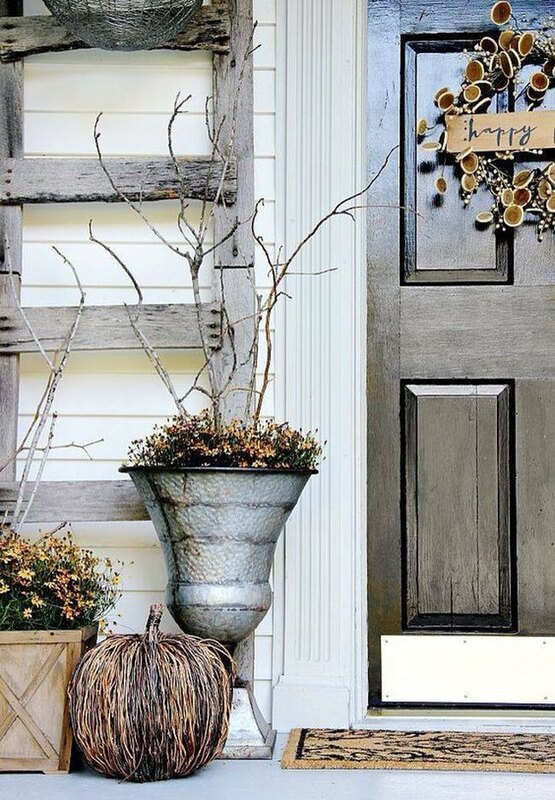 You don't need corn husks and bales of hay to make your porch feel autumnal. Karianne from Thistlewood Farms proves that a few rustic seasonal elements — like a simple wreath, bare branches, fall foliage, and a grapevine pumpkin — are all you really need. Show off your love of fall by outfitting your mailbox with an autumnal leaf garland and corn husks like Annabelle from Handmade by Annabelle. 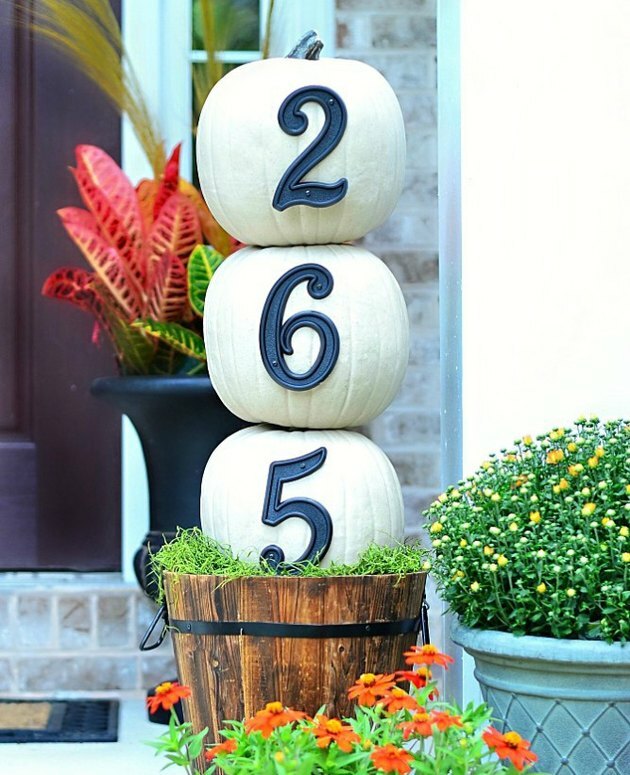 White flowers and a pumpkin with your street number complete this festive look. Pretend you're living in a cabin in the woods, and every time you open your door you are immersed in fall beauty. Fill your front porch with fresh blooms in burnt orange, yellow, and red like Chris from Just a Girl — and don't forget to throw in a few mini pumpkins for good measure. When crafting the perfect autumnal space, don't forget to play with lighting. 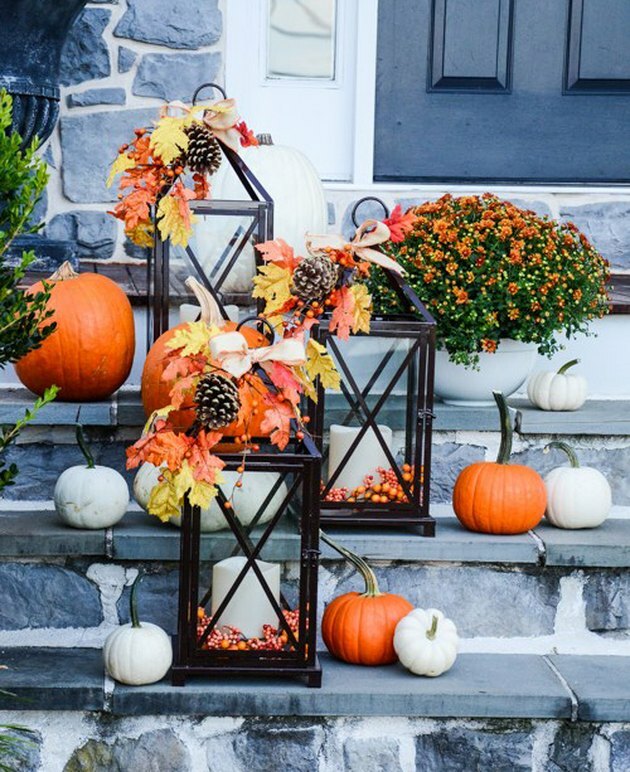 Take a cue from Yvonne over at Stone Gable and add candle lanterns to your stairs or porch alongside pumpkins and flowers to create a layered and inviting fall scene. Candlelight will filter through the lanterns giving your front porch a soft warm glow. 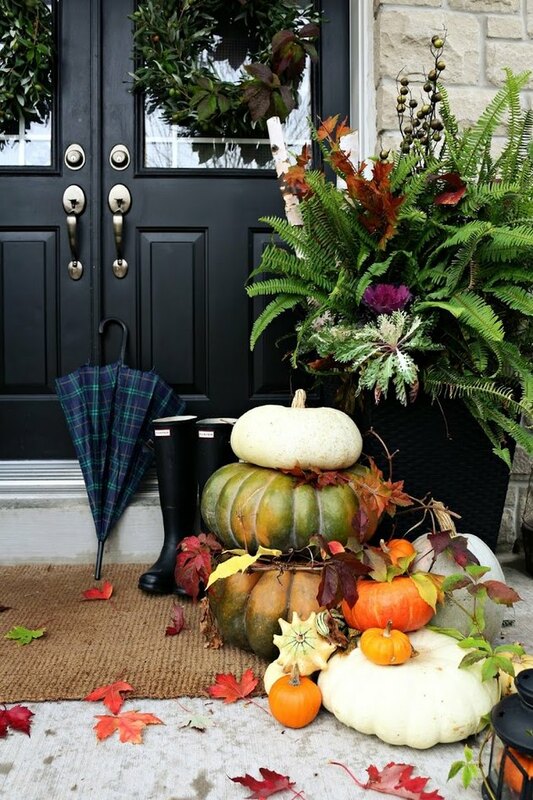 Not sure how to transform your front porch into a fall wonderland? Add a few comfy throw pillows to your outdoor seating area like Liz Marie. 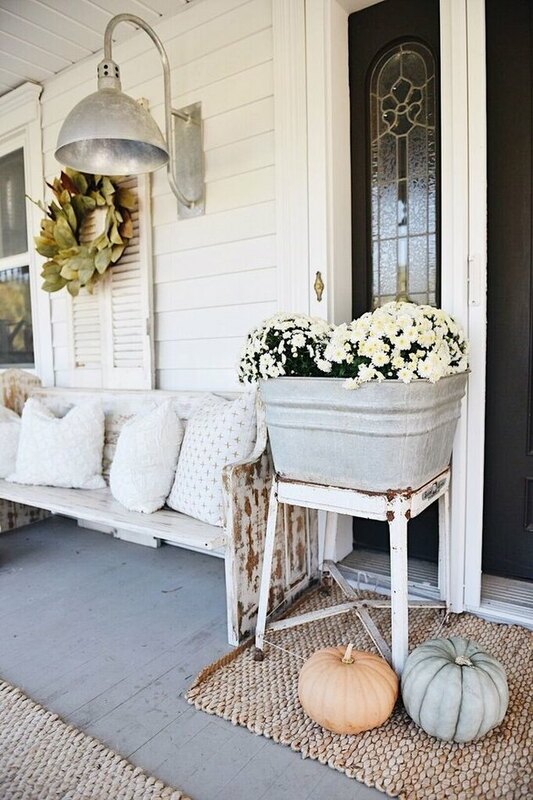 Next, accent with a few pastel-hued pumpkins and autumn foliage in a farmhouse-chic aluminum bin. We suggest throwing in a cozy plaid blanket so you don't get cold while watching the sun set.